Lush. Passionate. Anguished. Triumphant. Melancholy. Joyous. Despairing. These words all describe the music of Pyotr Ilyich Tchaikovsky (May 7, 1840 – Nov 6, 1893), the great Russian composer whose birthday is tomorrow, and who has long been an idol of mine. His music, like that of my other idol (Neil Diamond), is full of deep emotion, expressiveness, introspection and – in keeping with this blog’s topic – introversion. Am I a little obssessed with my musical idols? Yes. Their creations speak to me like nothing else has. I first was exposed to Tchaikovsky (aside from the Nutcracker excerpts that everyone knows) in college. My psychology professor had a habit of talking about Tchaikovsky’s Fifth Symphony in his lectures, mimicking the notes of the first movement and telling us how they expressed the hardness of Russian life. What did this have to do with psychology? Nothing. My professor talked about everything but psychology, but that’s why I loved him. He talked about great music, and literature, and Shakespeare, and all the things that interested me more than psychology did. He even was kind enough to take me seriously when I inquired about musical instruction, as it was my dream to be a conductor. This, of course, was preposterous since I had no musical talent or training, but he contacted the prestigious Hartt School of Music on my behalf anyway. Being a curious sort (an introvert trait) I dove hungrily into Tchaikovsky’s symphonies, losing myself in their rich layers of sound, in their lush orchestration and beautiful melodies. They spoke of triumph and despair, of acceptance and resignation. After I read a few books on his turbulent life, I realized these symphonies were his diaries, his most private thoughts laid bare. He had no outlet in life to resolve his conflicts, so he worked them out in music. I wrote a paper on his autobiographical Sixth Symphony, delineating what I thought Tchaikovsky was saying at each stage of this richly expressive work that may in fact have been a sort of musical suicide note. He had a gift for speaking through music, and was fond of the quote, “Where words leave off, music begins.” Some things you just can’t put into words. His music solves this problem. But it’s not just his emotional life that we see worked out in his music. He had a talent for vividly portraying whatever musical commission he was given. When asked to write a piece commemorating the Russian victory over Napoleon in 1812, he produced a vivid historical account in music in a mere six weeks. When setting Shakespeare’s Romeo & Juliet to music, he produced such a perfect musical expression of the rapture of romantic love that it is still unequalled a century after his death. In fact, it is one of the most recognizable tunes in the world. His music for the children’s tale The Nutcracker captures the magic and wonder of childhood like nothing else I have heard. Once, at a workshop, I was asked what work of art I would want to become one with at the moment of my death. I immediately knew the answer: The Forest of Fir Trees in Winter from The Nutcracker. Could the music in heaven be any more celestial or peaceful? Tchaikovsky did make a disastrous attempt at marriage, selecting a totally unsuitable wife who caused him no end of grief and suffering. He ended up making a half-hearted suicide attempt by walking into the Moscow River in the dead of winter, hoping to catch pneumonia. He was unconscious for two days. From this ordeal came his masterful Fourth Symphony. His wife refused a divorce and attempted to extort money from him. She was eventually declared insane, and though they remained married until his death they had no contact with each other. Tchaikovsky’s one source of solace was his wealthy patroness, Nadezhda von Meck, who was a sort of emotional wife and mother to him. She was a great admirer of his music, and a kindred spirit. She provided him with a generous stipend, allowing him the freedom to concentrate on his music without the constraint of worrying about supporting himself. The two corresponded for over a decade, but she stipulated that they never meet. They exchanged over twelve-hundred letters. On two occasions they accidentally crossed paths, but did not speak to each other. They shared their most intimate thoughts, and were closer to each other than to anyone else in their lives. 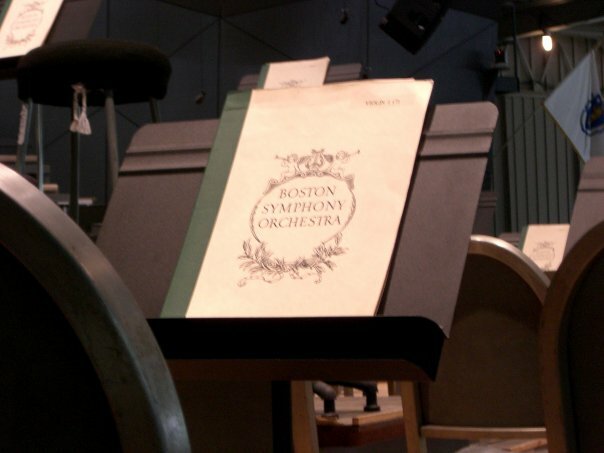 It is through their letters that scholars have learned much about Tchaikovsky, including his detailed description of the meaning behind his Fourth Symphony, which he dedicated to von Meck. Tchaikovsky’s fame continually increased, though his music was not always immediately appreciated. It was quite different from the traditional, nationalistic music of other Russian composers, and in this sense he was a trailblazer. 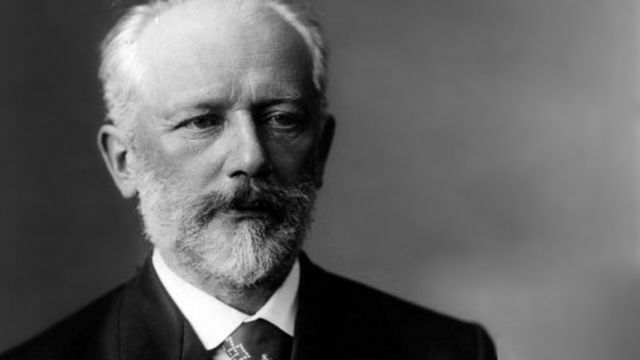 Critics in the West thought Russian music barbaric, but Tchaikovsky’s was nothing of the sort. He embarked on a very successful tour of America in 1891, and was the headliner at the grand opening of Carnegie Hall on May 5, 1891, two days before his birthday. Near the end of his short life, Tchaikovsky had some considerable success, including the granting of an honorary degree by Cambridge University in recognition of his great accomplishments. In the last few years of his life he wrote The Nutcracker and one of the most successful of his ten operas, The Queen of Spades. He died rather suddenly at age 53 from cholera, the same disease that had taken his mother from him at a young age. There is much controversy surrounding his death, including speculation that it was either an active or passive suicide. He had consumed an unboiled glass of water during a cholera outbreak, something he certainly knew was unwise. However, given his recent successes it seems odd that he would choose to kill himself. There was also speculation, however, that his sexual orientation was about to be exposed which, in light of those successes, would have been unbearable. He had conducted the premiere of his Sixth Symphony just nine days prior to his death, a very personal work that he was quite excited about. It, perhaps like his life, ends in despair and dies away into nothingness. If you search “Tchaikovsky” on YouTube, you will find complete performances of many of his works, including the later symphonies.